The Canine Valley team is trained to the highest standards and have been hand picked for their love of dogs, clearly expressed by their work ethics. Valley Calderoni was born in the busy Mexico city. Since she was little she was in love with nature, constantly watching the Discovery Channel, reading magazines, the animal encyclopaedia, and taking care and protecting the random animals she would find. Valley began her career with animals as a commercial artist, fundraiser and public speaker for "Habitat", an organisation dedicated to the Preservation and Conservation of animals in the Sierra Madre mountain range. 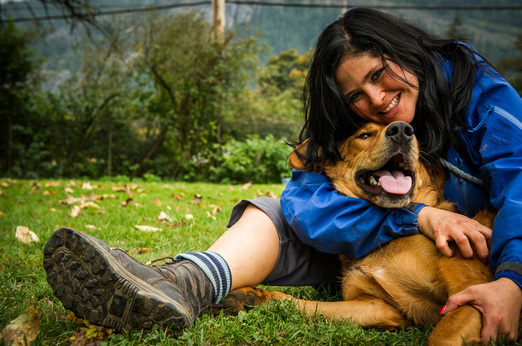 Upon moving to Canada Valley volunteered at various animal organisations where her passion for helping animals took her on the path of working with dogs. Valley was determined to save dogs from euthanasia by helping people understand dog psychology to encourage the correct communication and education of dogs to solve behavioural challenges. 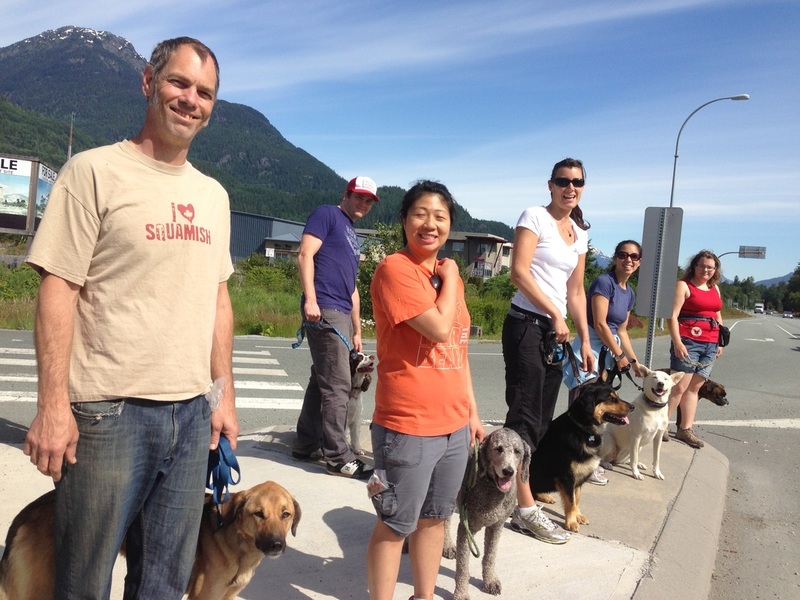 She founded Canine Valley in Squamish BC, Canada to aid in this mission. Successfully re-educating dogs Valley created the program Dog Training – A Guide to Lasting Relationships which was released on DVD in December of 2005. Through her journey of educating dogs, Valley soon realised that dogs are the reflection of people emotions, frustrations, and intentions and that in order to really help dogs and other animals, people must be attended to first. Valley developed a program designed to help people achieve a state of appreciation, a sense of unity and connectedness, empowerment and to embrace the responsibility of using one's abilities, gifts and mind to create the life one desires to live. Valley’s program involves working with dogs, the immersion in nature through Shinrin-yoku, and state of the art modalities and technologies to create Intentions and clear away emotional triggers. Marieke Leliveld was born in The Netherlands she grew up in a family who loved animals immensely. Always being around dogs, cats, horses, hamsters, guinea pigs, rabbits, fish and wild animals. Her deep love for the World and everything living on it made Marieke follow her heart. With many years of education, she began working in the veterinary field where she gained a lot of experience and knowledge about animals. She, however, realised that there was a lot more needed in order to really heal an animal or a person. It was this that drove her to find alternative solutions for the challenges faced by people and their pets. She began a long journey of education and became a Certified Animal Health Technician, Quantum-Touch Practitioner, Massage Therapist, and Animal Communicator. The combination of these modalities allowed Marieke to create the Conscious Touch system. The Conscious Touch system is a holistic method of empowering a person or an animal to engage in self-healing. It is a jump start to the bodies own ability to remain healthy and strong. 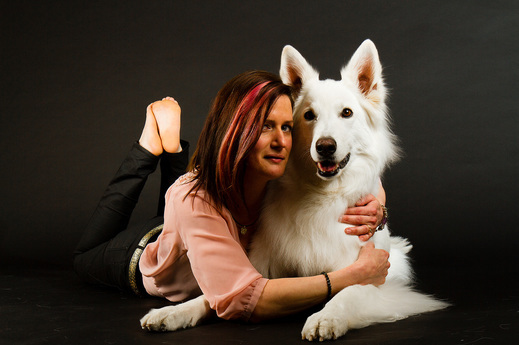 Marieke helps people and animals naturally engage with their own life-energy. Ebony Grant is extremely lucky to have been born in Squamish, BC. Born to a family that had an absolute passion for helping dogs and working with them, Ebony quickly learn the gift of rescuing dogs. Ebony's family especially loves the Bully breeds and as soon as Ebony was capable she added her own Bully dog, who she named Buddha, to her family. Buddha is a sensitive boy and Ebony was determined to provide the best quality of life possible for him and to become an exceptional owner. It was this passion and thirst for greatness that brought Ebony to Canine Valley where her drive earned her a place as a student of the Canine Valley’s Dog Behaviour Modification and Trainer Program. Ebony has been engaged in the program and is enthusiastic because of its unique way of working with both dog psychology and people's psychology. Ebony has been a powerful force of healing countless dogs and continues to learn more about helping people. She is looking forward to continuing to grow her skills and absolutely loves her work and the opportunity to spend so much time in nature with the dogs she adores. Ebony is an example of assertiveness and leadership. She has applied this not only in her relationship with Buddha but also in other areas of her life. 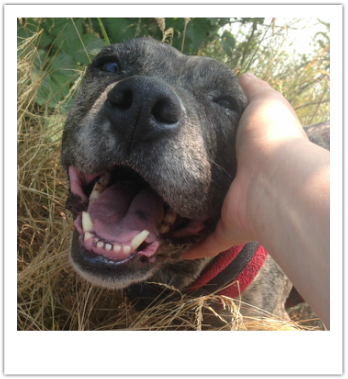 Ebony enjoys assisting people to communicate more efficiently with their dogs and to achieve good habits. She is personally satisfied when she knows that she has played a part in the development and success of someone's best friend. Deana Pontini is an exceptional athlete. She began working at Canine Valley as a volunteer and soon her physical abilities got Valley to pay attention to her. 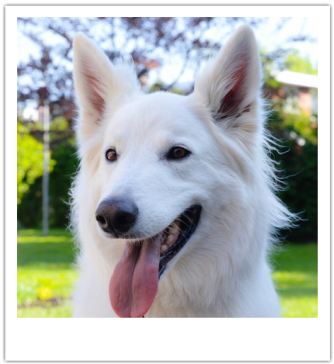 Valley began teaching her dog psychology and behaviour and quickly found out that her physical capacity allowed Deana to learn extremely quickly how to help dogs, especially those with severe challenges. Deana began the Canine Valley’s Dog Behaviour Modification and Trainer Program and is becoming one of the most skilful Dog Behaviour Consultants. She has now over 5 years of experience in helping countless of dog cases become more balanced and excellent members of society. Deana is impressive to watch working with dogs. She has a connection with them and a clear understanding of dog language. 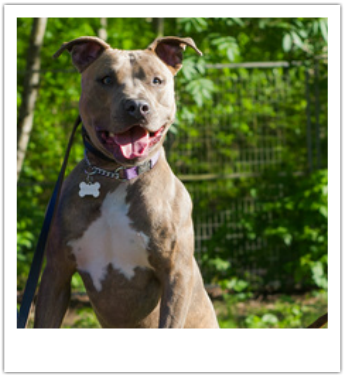 Deana brings fun, enthusiasm, and an absolute devotion to working with dogs. Her skill is beautiful and not matched by many. Deana is working towards her full certification and towards expanding her skills so as to help more efficiently all types of dogs and families. 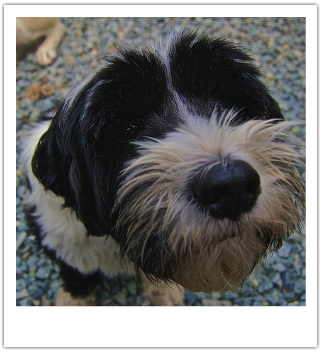 ​We would love to show appreciation to all our dogs who make the education and healing of our client's dogs possible. Our dog team is trained to help speed up the re-education of other dogs, keep order within the pack, help people understand dog psychology and are instrumental in our own personal growth. Two paws up! Specialised for kids, Kaoru is a super intelligent, loving and patient service dog. Her wild nature is intoxicating. Cuddle bug extraordinair, Tia is a ray of light in the darkness. Tia is the definition of happiness. Intelligent and sensitive, Buddha is a creator of masters. He is the greatest mirror, a simple look can show you exactly who you are choosing to be. Mum of the year, Tallulah is patient, kind and fun loving. The best teacher for all the young Jedi. Wait a second, it's a Cat! Warrior and Master, Ferrio is the oldest teacher of all. 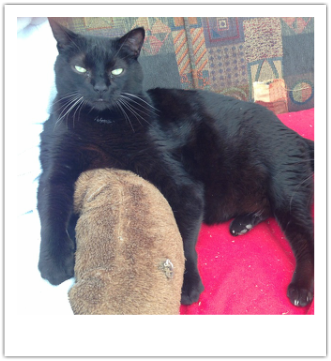 Patient, firm, and absolutely wise Ferrio brings the knowledge of cats to the dog world. 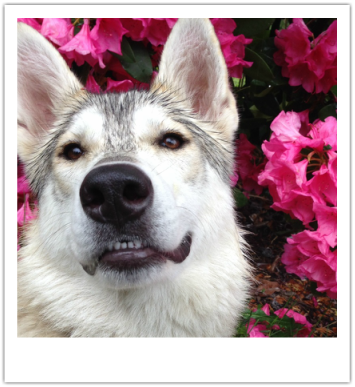 Sensitive and loyal, Djibbe helps define the art of dog language. Bred to work Djibbe is a perfect example of a balanced dog. Our Volunteers are canine handlers that dedicate their time to make a difference in the lives of dogs in need. Thank you! A dog that has behavioural problems benefits tremendously when he learns to look for guidance from many people. He then begins to respect everyone behind the leash. This creates trust, the feeling of safety, and the understanding that all his needs will be met with consistency and kindness. It is only with our community's help that this is possible. Canine Valley would like to thank all the beautiful people that have invested so many hours volunteering to help our program dogs. Without your assistance, we would not be here right now. There is an absolute power in giving. If you would like to help dogs become balanced, relaxed and happy contact us. We always welcome the opportunity to share the magic of dogs and what they can actually do in your life. You will be plesantly surprised.